This is an immaculate and well maintained 3 bedroom, 3 story townhome in the prestigious community of Riverbend in Orange. Very spacious floorplan is perfect for hosting friends or family. Home includes two large living spaces, new paint, and an abundance of windows for plenty of natural light. Kitchen features new white cabinets, granite countertops, walk in pantry, and ample storage space. Upstairs, find all three bedrooms. Master suite is a retreat like space, featuring private balcony, separate tub and shower, dual vanities, and large closet. Additional features of this home include high ceilings, inside washer and dryer hookups, spacious 2 car direct access garage. HOA offers resort style pool and spa, and oversized sports park located nearby with sport fields, playgrounds, and picnic area. Award winning schools are just a short distance away as well as easy access to 91 freeway. FHA approved. 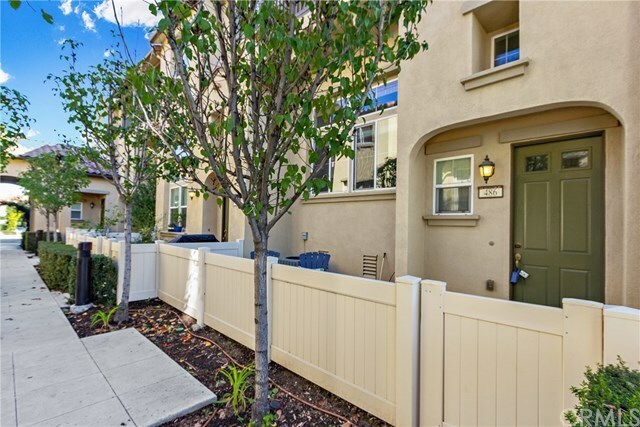 Don't miss your opportunity to see this townhome, it will go quick! Be sure to view the virtual tour, it is like you are walking through the house!